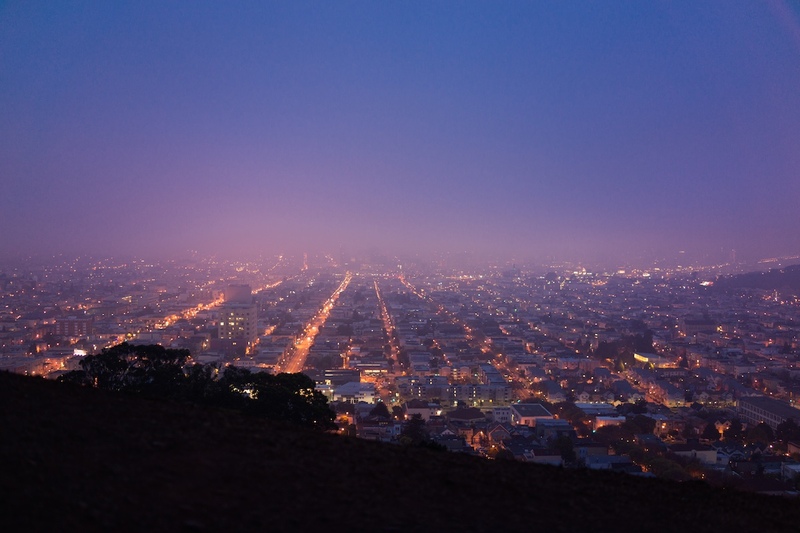 Celebrity blogger (and Olde Bernalwood Friend) Om Malik visited Bernal Hill recently, at an early morning hour which we rarely experience because of its horrific earliness. But with that said, Om’s photo makes a strong case for early-rising, because the light and colors he captured are so beautiful. Bravo, Om, and thanks! ← Parked Unicycle Is Metaphor for Everything Bernal Heights.